Dr. Yepez’ parents emigrated from Colombia separately and met in New York City, where she was born and raised. Knowing how much they sacrificed to provide a better future for their families back home and for their family in the U.S. made her especially sensitive to the struggles of underserved patient populations. 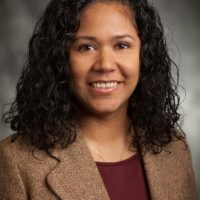 After her training at the University of Chicago Pritzker School of Medicine, Dr. Yepez pursued a career in Family Medicine as the ideal specialty to care for the underserved. This same desire brought her to West Suburban Family Medicine Residency program in Oak Park, Illinois where she also went on to complete a Maternal Child Health Fellowship in high-risk and surgical obstetrics. As the Medical Director of a Federally Qualified Community Health Center on the West Side of Chicago for over ten years, Dr. Yepez helped bring vital medical services and resources to a largely Latino, immigrant population. Dr. Yepez’ desire to mentor and teach new physicians to care for underserved populations is what brought her to the MacNeal Family Residency Program. She continues to enjoy delivering babies and training a new generation of Family Medicine physicians to do the same. To support these efforts, she currently serves on the Perinatal Action Committee for the Illinois Department of Public Health. She is passionate about patient education and empowering patients to strive for wellness. Dr. Yepez lives in Berwyn, the community she serves, with her husband and son.